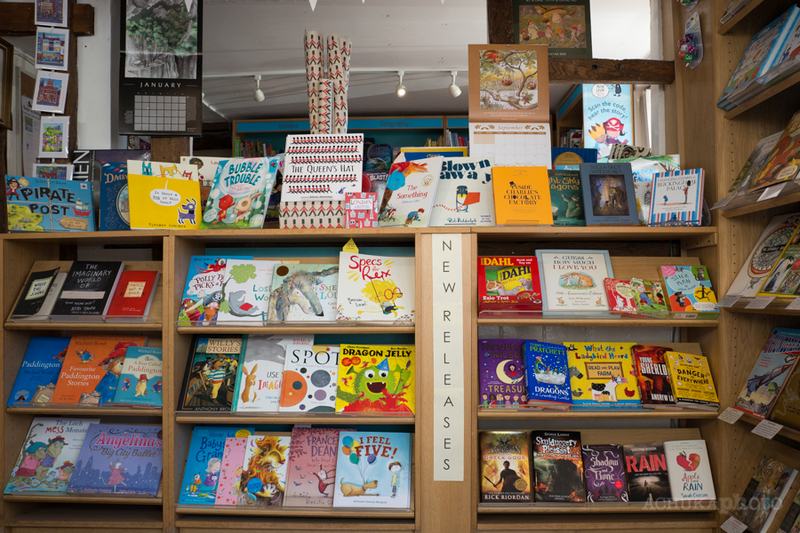 Indie Bookstores Finish 2015 on High Note… in the U.S. The shop-local movement, good weather, and a strengthening economy boosted sales at a number of stores across the country. 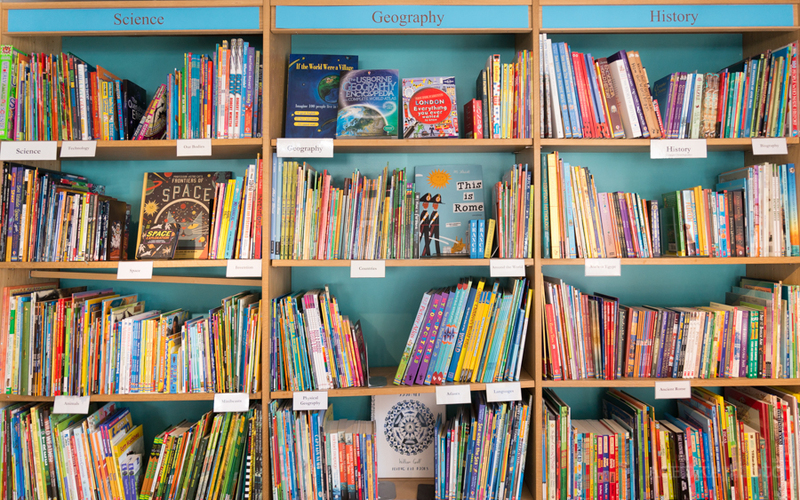 For the sixth year in a row, BookPeople in Austin had its best year, up 7.5% over 2014. It also recorded its best single sales day, December 23, and its best month, December, according to CEO Steve Bercu. Ann Nye, owner of Excelsior Bay Books in the Minneapolis suburb of Excelsior, hasn’t finished tallying her figures, but she anticipates that 2015 will be the store’s best; it turns 20 in the spring. Women & Children First in Chicago marked its highest sales day since the store’s founding in 1979. Overall, sales were up 20% from last year. Co-owner Sarah Hollenbeck attributed that partly to social media. The store added 3,000 new “likes” on Facebook and created Twitter and Instagram accounts. 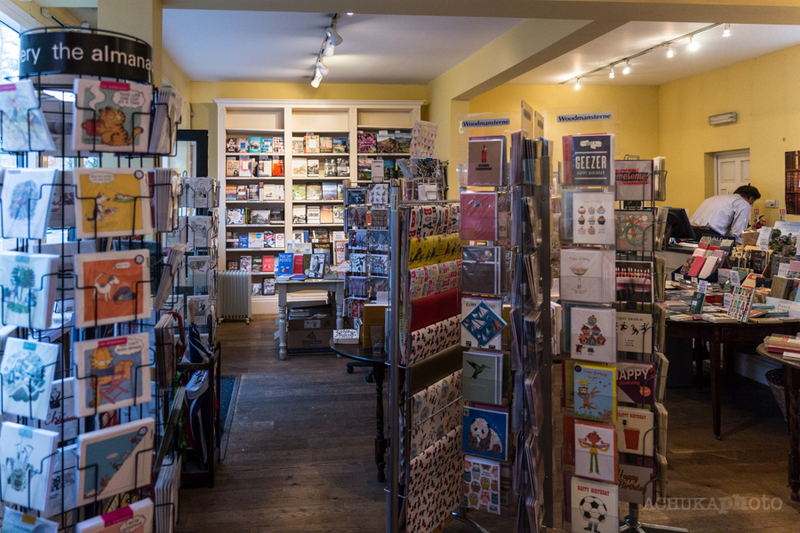 via Indie Bookstores Finish 2015 on High Note. 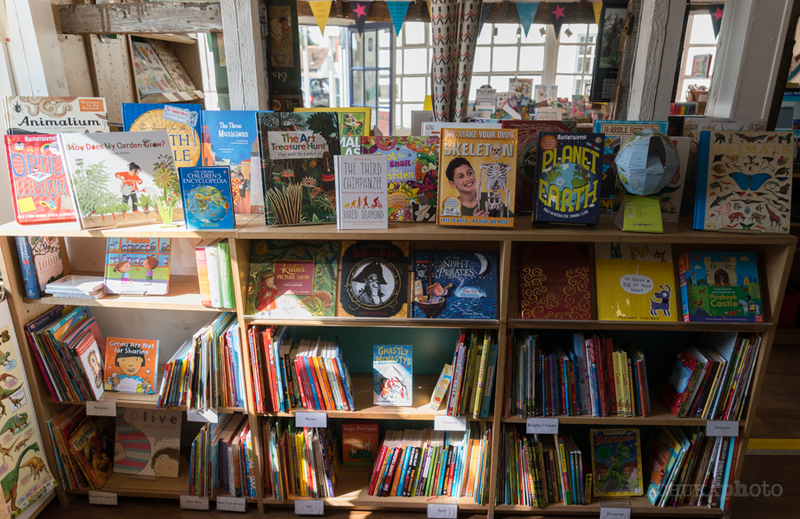 Congratulations to The Book Nook (children’s bookshop in Hove) for being named Children’s Bookseller of the Year in the Bookseller Industry Awards.. The Independent Publishers Guild has announced the shortlists for the ninth annual IPG Independent Publishing Awards, run in association with Fox Williams LLP and The Bookseller. The shortlists are in 12 categories and feature a total of 39 nominations. One more Award, for the overall Fox Williams Independent Publisher of the Year, will have a shortlist that is made up of the winners of the five Publisher of the Year categories. The 13 winners of the 2015 IPG Independent Publishing Awards will be revealed at a Gala Dinner during the IPG’s Annual Spring Conference on Thursday 5 March. 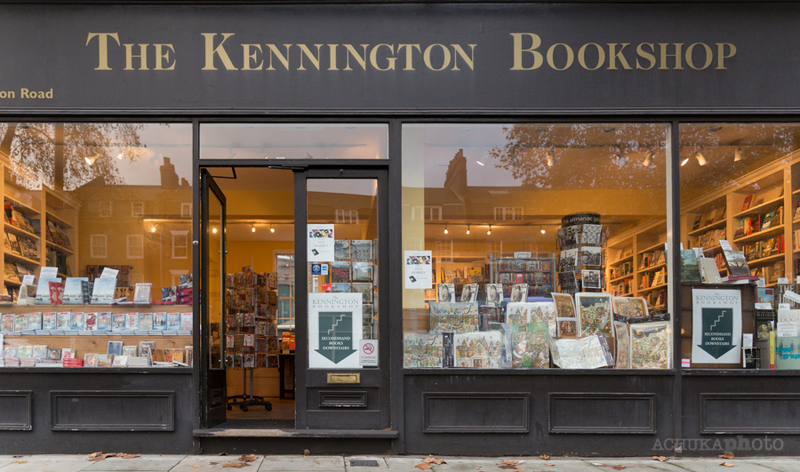 Kennington Bookshop is owned by Australian Paula Kaplan and managed by Nick Creagh-Osborne. The two of them took over the premises (306-308 on the Kennington Road, previously a DVD/video rental store) some eight years ago, Nick having considerable experience as a bookseller. He was at the Travel Bookshop in Notting Hill for five years, and prior to that had spent several years managing the travel section of Harrods’ Waterstones. He also did a stint at the Marylebone branch of Daunt books. Before book selling his work involved arranging insurance programmes for petrochemical companies. 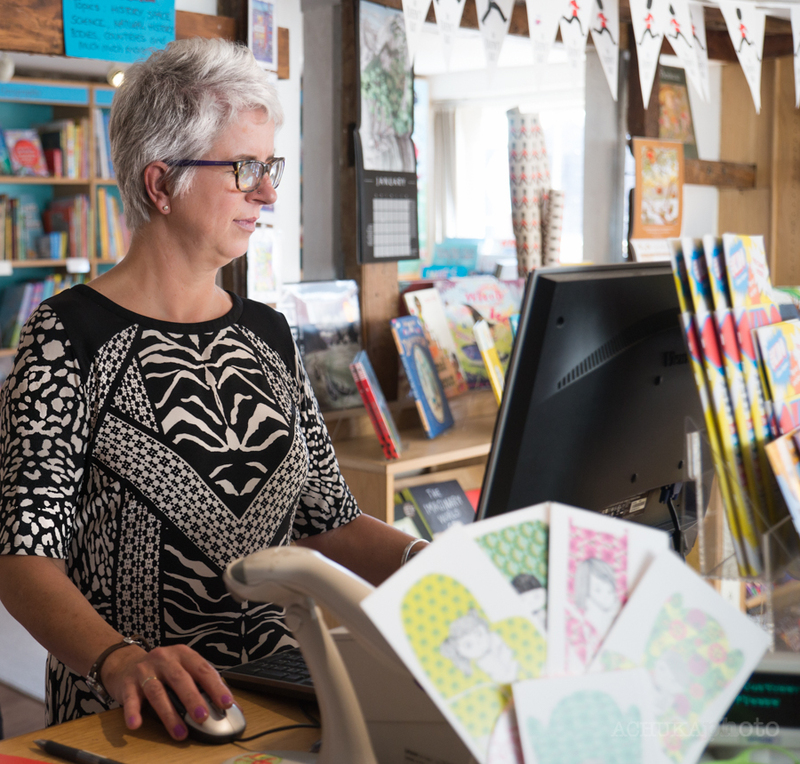 Paula (as well as having owned the Literary Bookshop in Melbourne) had been an investment analyst, so between them they must have considerable business acumen. 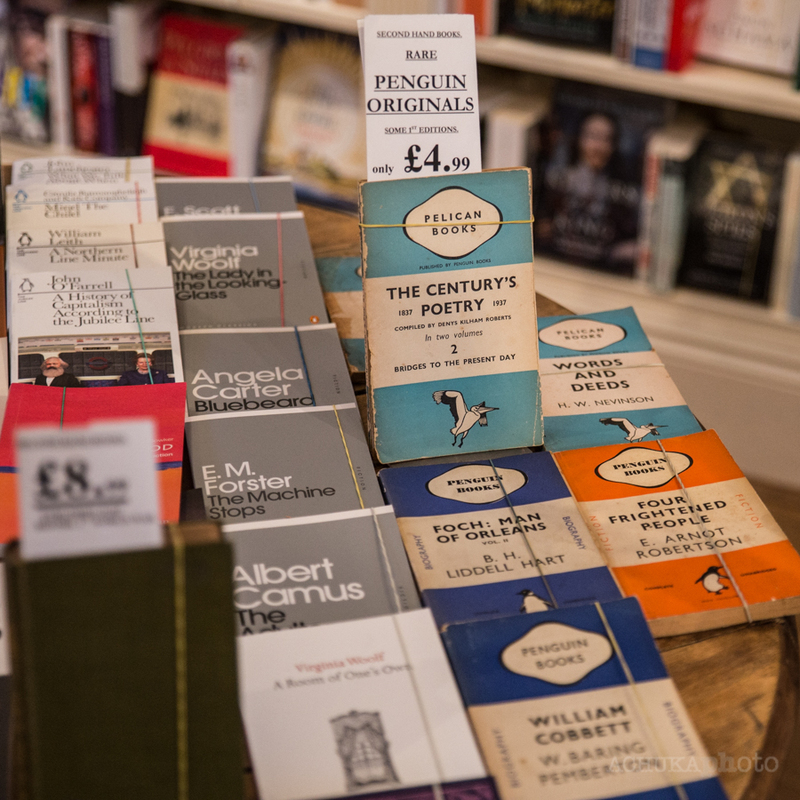 The shop sells a mixture of new and second-hand books. Ground-floor level is mainly new books, with a few notable second-hand titles flagged up on display tables and shelves. 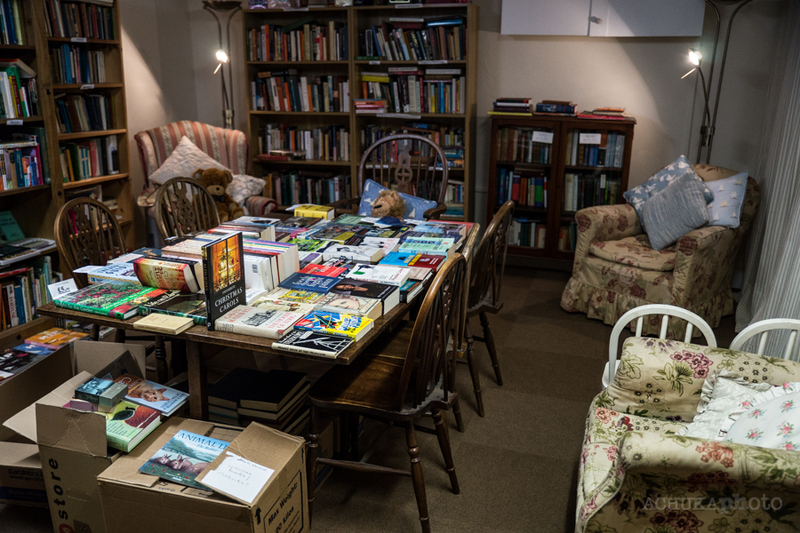 The basement of the shop is a cosy retreat dedicated to quality rather than antiquarian second-hand books. As recently as three years ago this space had been used purely for storage. Nick tells me that its conversion into selling space was the result of a Eureka moment on Paula’s part, and adds that sales from the basement now represent a significant percentage of the shop’s weekly takings. The second-hand stock is very keenly priced, so that browsers are unlikely to be put off when they lift the corner of the front jacket. I saw a lot of paperbacks priced at £2.50, so effectively you will be finding books at charity shop prices while browsing a far less random selection (on the contrary one that has been curated by an experienced bookseller). Paula employs two part time booksellers, Will and George, who make an enormous contribution to the efficient running of the business during the week. 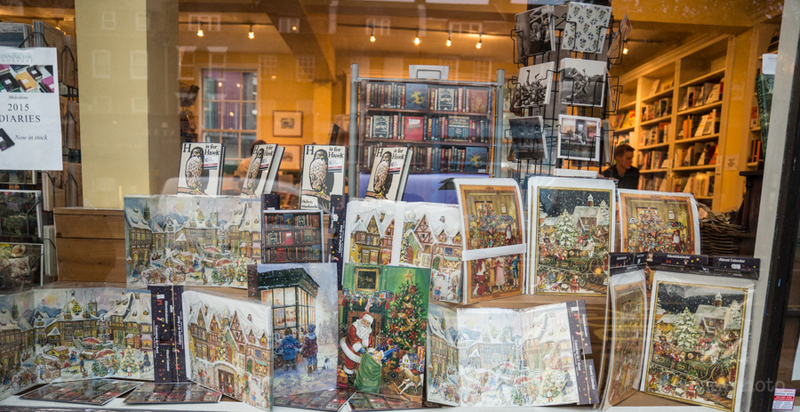 At the time of my visit (in mid-November 2014) the shop windows were displaying Christmas cards and advent calendars as well as books. Nick imports traditional German advent calendars which are much appreciated by local families who can only find modern designs elsewhere. Most customers who come in for a calendar end up buying a book as well. Although, as Nick points out, there is a finite window on this promotion, as come December 1st everyone who wants a calendar will have purchased one. In common with the other bookshop owners and managers I have spoken to, Nick is appreciative of the efficiency of Gardners and Bertrams which means that the shop can offer an effective alternative to Amazon. 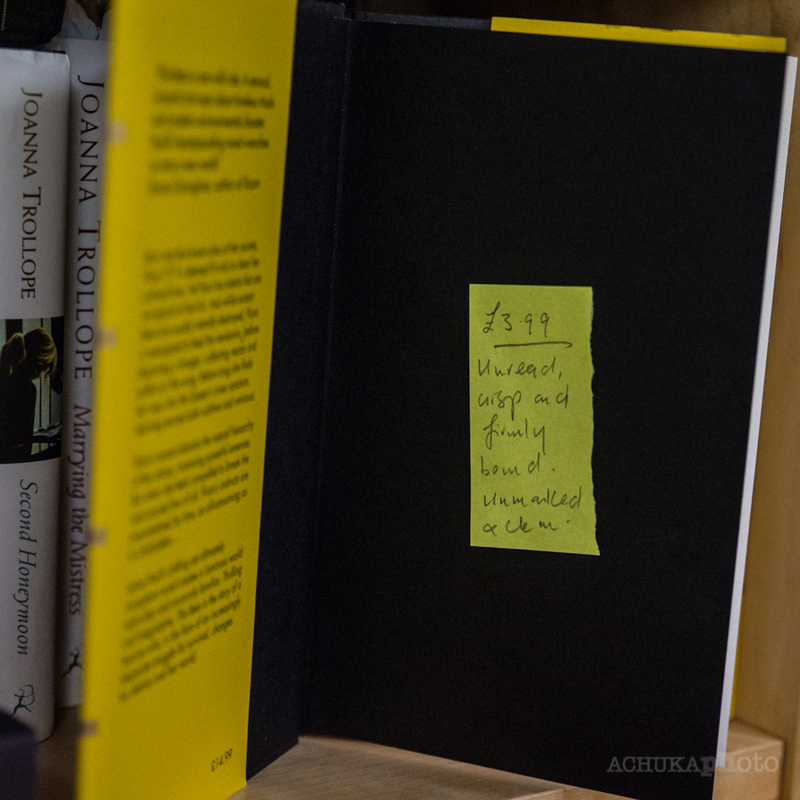 Customers can order a book late one afternoon and it should be in the shop for collection the next day. They might not get a discount on the cover price but they won’t have to pay a delivery charge or arrange to be at home waiting for the package to be delivered. 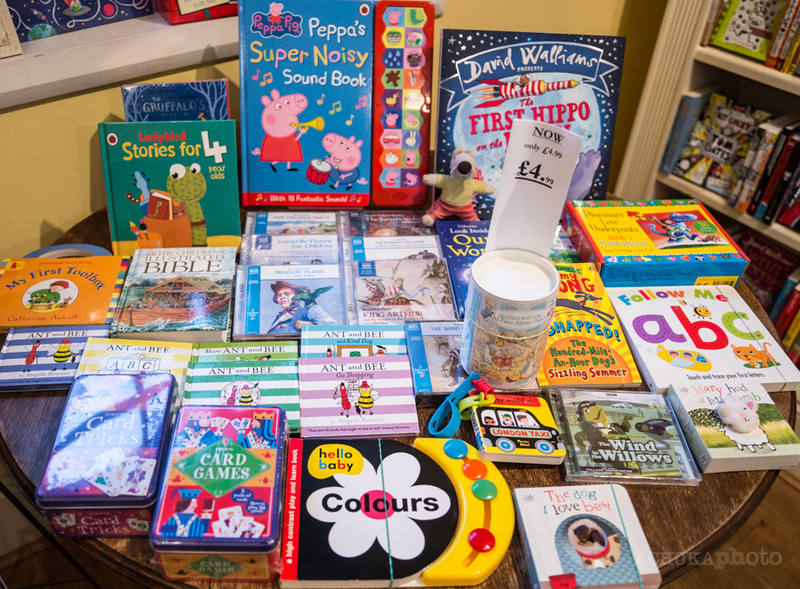 The shop supplies books to several local schools and gets heavily involved in World Book Day. 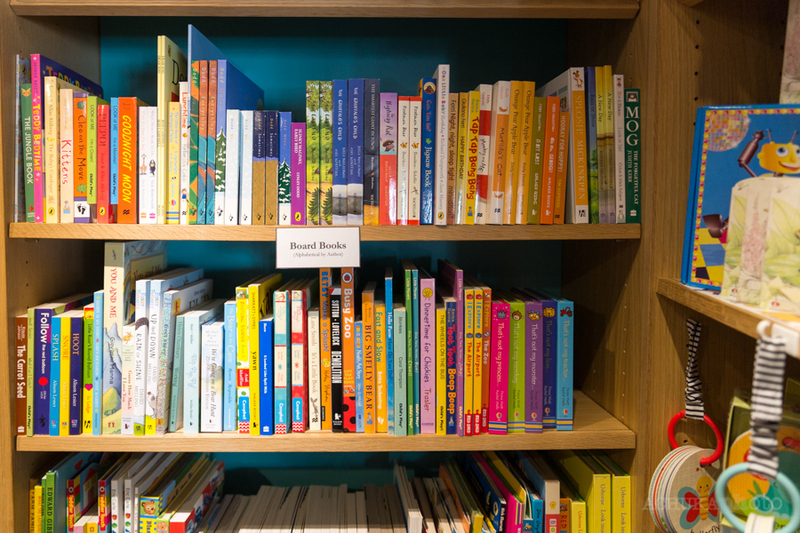 There are lots of mums with young children in the area, which is why the children’s shelves (organised in height order, picture books on the lowest shelf, teenage fiction on the top) are a significant section of the shop. It’s not the biggest shop I’ve visited but by no means the smallest so I ask if he and Paula have ever been tempted to turn a corner into a place for serving coffee and cake. At this enquiry he opens a door behind the till and we step out into a courtyard at the rear of the shop, which is shared by a neighbouring cafe and other businesses. I can picture the scene on a summer’s day. The door at the back of the shop is left open. Customers make a purchase then go outside and order a coffee and sit at the tables for a chat with fellow customers or to dip into the book just purchased. I really must return in six months time! 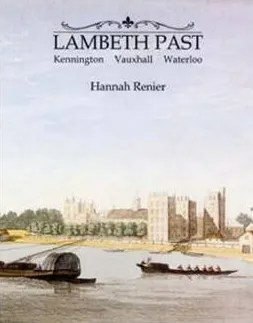 Books with local area interest always do well (the shop’s bestseller this Christmas is likely to be Lambeth Past by Hannah Renier) as do books about politics. Paddy Ashdown and Jack Straw both live locally and have held successful signing events in the past. 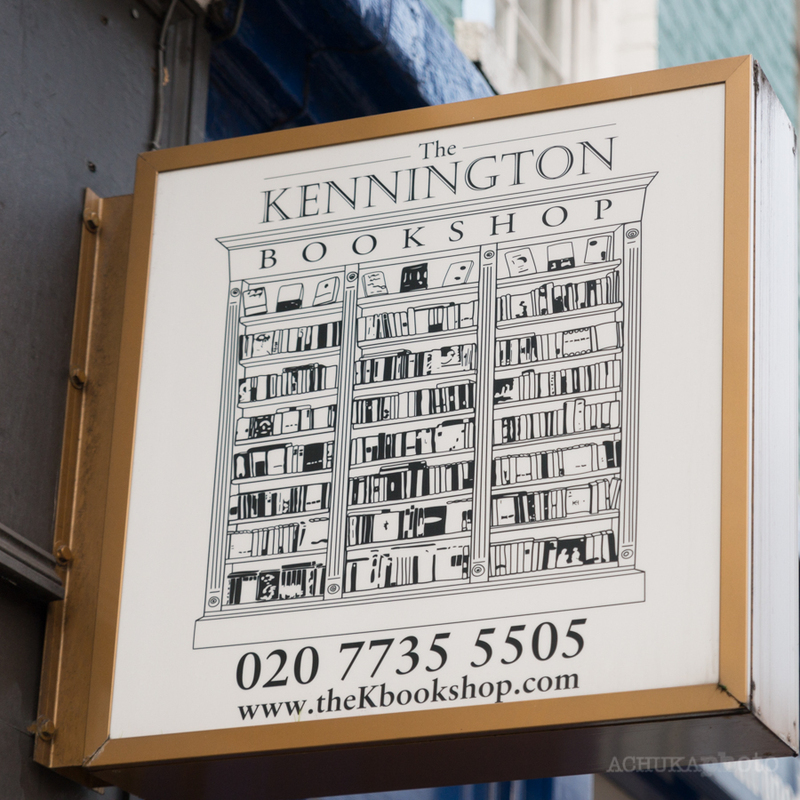 There is also the Kennington Bookshop Supper Club and authors are often invited to give a talk before (or after) the group enjoys a two or three course meal. The great joy of browsing in a well-run independent bookshop is that you are drawn to titles you haven’t seen elsewhere. 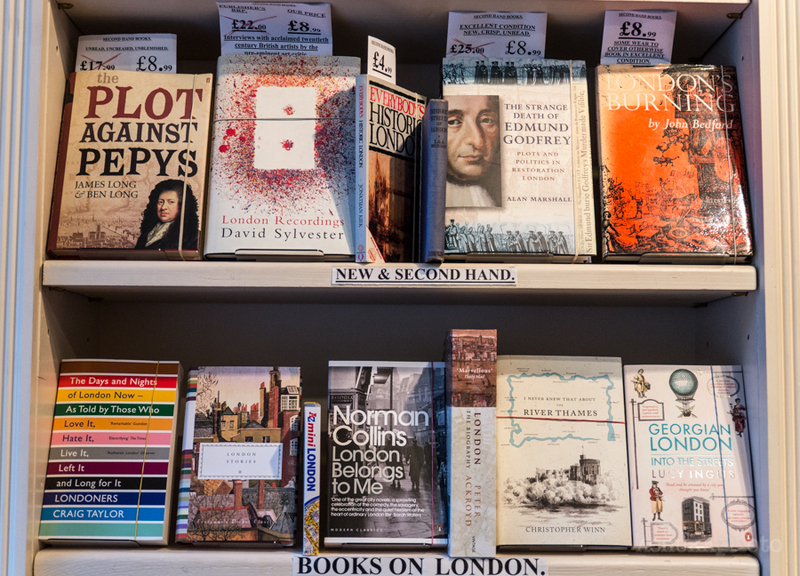 I hope the few photos that illustrate this piece give you the feeling that that will indeed be so, should you care to visit The Kennington Bookshop. The pleasure of a book can be further heightened by the way in which it is bought. There is nothing luxurious about buying a book on Amazon, with its grim efficiency, bright white webpages and impersonal clicks. Likewise, there’s little pleasurable about paying for a book at the robotic self-service checkouts of the supermarket or WH Smith. These are places of deals and vouchers, built to maximise speed of transaction. By contrast, going into a good bookshop — and to have survived, they have to be good — is a joy. These are places where you are greeted by a real person, where the air is thick with the dusty smell particular to books, the hushed enthusiasm of conversations which meander delightfully unalgorithmically, and the thrill of discovery. Moreover, a bookshop is where you come not so much to pick up the book you know you want, but to find the book you never knew existed. Unlike the digital world, in which we have seemingly limitless choice, the bounds of a bookshop’s physical space make it a place of curated selection. 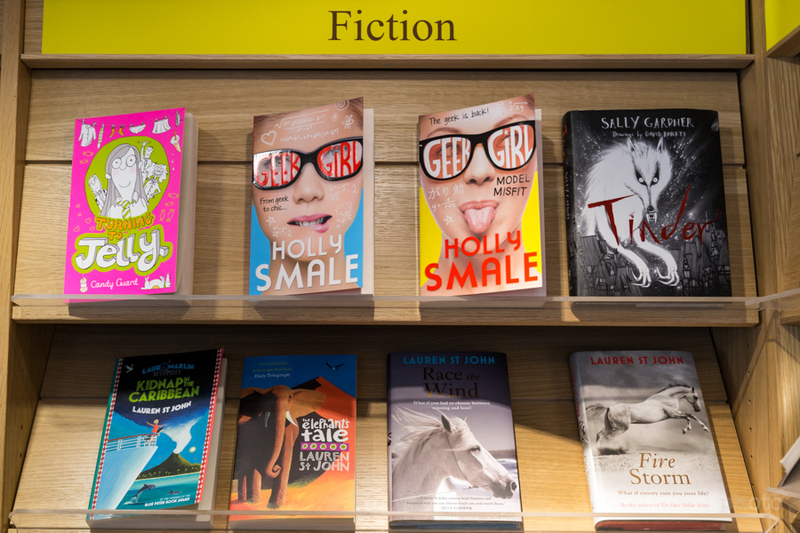 Booksellers offer the luxury of placing the perfect thing under your unsuspecting nose. 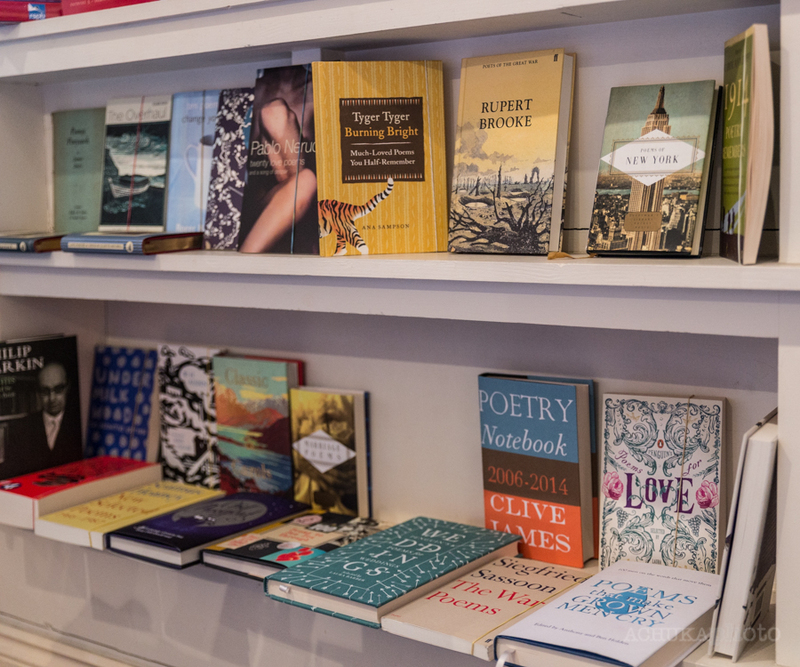 Some shops, such as Heywood Hill and Daunt Books in London, and Mr B’s Emporium of Reading Delights in Bath, even offer a subscription service where, after an initial consultation, you are sent a book a month tailored to your taste. via Long live bookshops! » The Spectator. 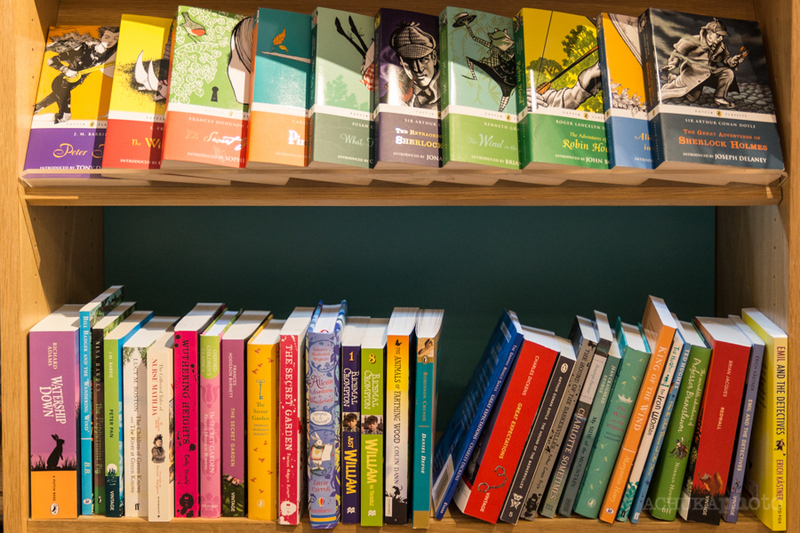 Bath-based indie bookshop Mr B’s Emporium of Reading Delights is launching its own publishing company, Fox, Finch & Tepper. The award-winning independent will specialise in “resurrecting under-celebrated, beautifully written books with a strong sense of place”, and will begin its new venture by publishing two backlist titles. The second title is The Next Step in the Dance by Tim Gautreaux, originally published in 1998. Gautreaux’s Missing, published by Hodder, has sold 1,200 copies through Mr B’s shop alone, and author Kate Atkinson has provided a quote for the new novel’s cover. Bottomley said: “Missing is one of our bestselling titles and we think [The Next Step…] has even broader appeal.” Set in small-town Louisiana, the novel tells of strong-willed, restless heroine Colette, who longs for the lights of California; and the quiet determination of her husband to win her back. Bottomley acquired rights by contacting the author. Both titles will be high-quality paperbacks with an r.r.p. of £9.99, published on 6th November. 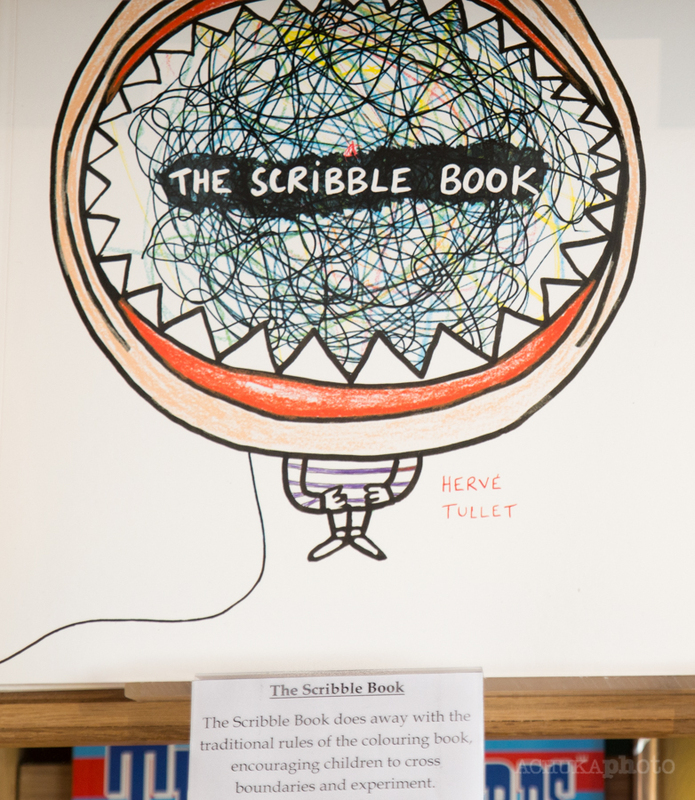 via Mr B’s founds publishing company | The Bookseller. 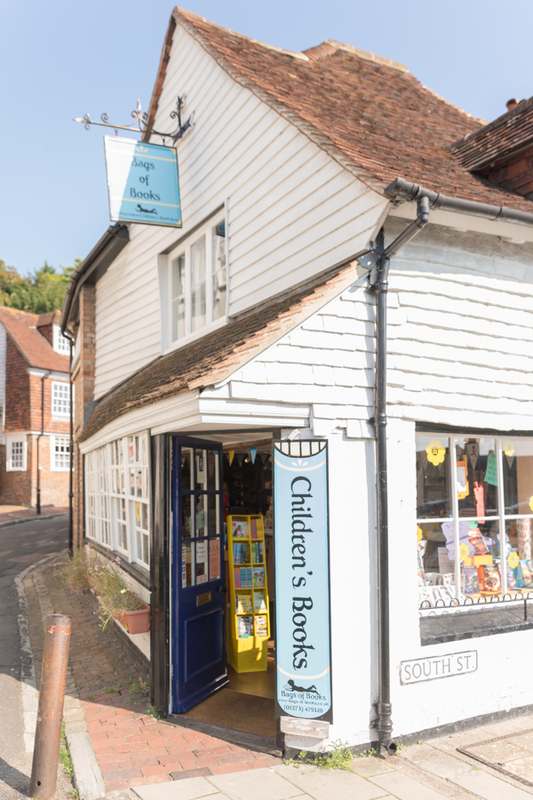 Bags of Books is a small specialist children’s bookshop in Lewes, East Sussex, situated at the far end of the High Street, somewhat on the edge of town but well worth seeking out. Strategically placed advertising boards alert unsuspecting visitors to to the town of its presence. It was already well-established (the shop first opened in 1985) when Anna Morgan and Gavin Teasdale took over the business towards the end of 2008. It has changed a lot since the days of previous ownership when, a thriving reputation notwithstanding, it was a rather dark, cramped and higgledy-piggledy affair with a somewhat traditional and intimidating management style established by its original owner, Angela Macpherson. On Angela’s retirement, the shop was briefly owned by Paul and Rachel Waller, who made few changes. Anna & Gavin met while working for Borders and Books Etc, initially in York and then in London. A year before Borders folded they left to start up in business on their own and initially considered a startup bookshop but then, when they saw that the Bags of Books business was up for sale, the convenience of taking over a readymade shop (combined with a move out of London) proved irresistible. It was comforting to know they were taking over a business with a very loyal customer base and a healthy line in school orders, an aspect of the shop’s trade they have been at pains to maintain and grow. 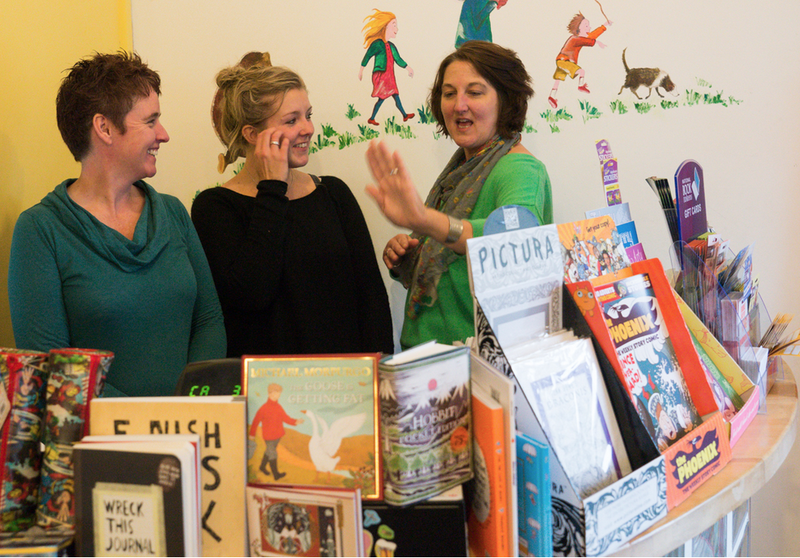 For a specialist shop with such a small floorspace it is impressive to learn that Anna and Gavin manage to employ a further three people to complete the bookselling team – Annette, a full-time shop manager, along with Claire (who specialises in links with schools) and Catherine who both work 3 days a week. While he’s telling me this, Claire is following up unpaid invoices on the phone. Earlier Anna had told me that the opening of a Waterstones branch in the centre of the town mid-summer had had as yet no discernible impact on their trade. They had known it was on the cards for quite some time, so to strengthen the service they already offer to schools Anna has developed http://www.bagsofbooklists.com/ an adjunct to the main shop website, where schools can register and order various curated lists with one click, at a minimum discount of 12.5% (discount increases with the total value of each order) – a service which, by virtue of its online nature, is available nationwide and not confined to the shop’s natural catchment area. Back in 2008 they had arrived on the cusp of Christmas so had decided to live with the shop as it was for a few months before embarking on a total refit. The result, for anyone who remembers the old shop, is amazing. 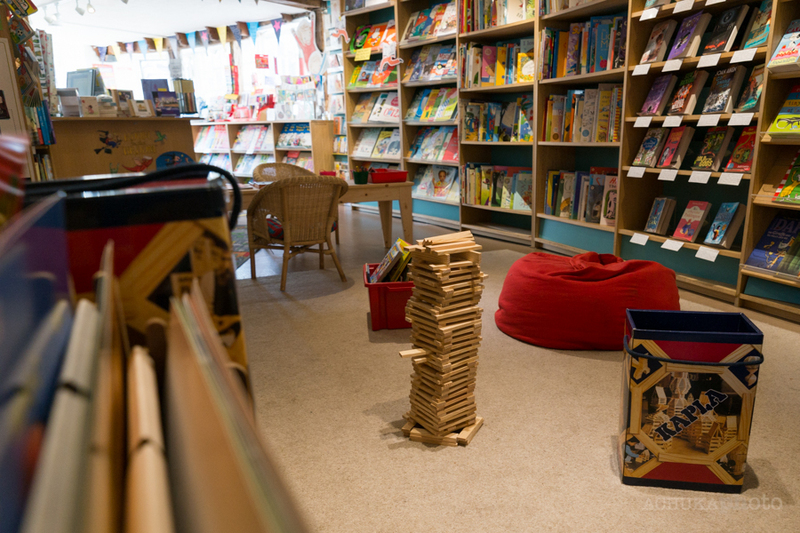 It is still narrow, but the centre is now a bright open space, with lots of playthings for very young children to amuse themselves with while adults browse. Anna had told me that the bulk of their custom is with families of young children. 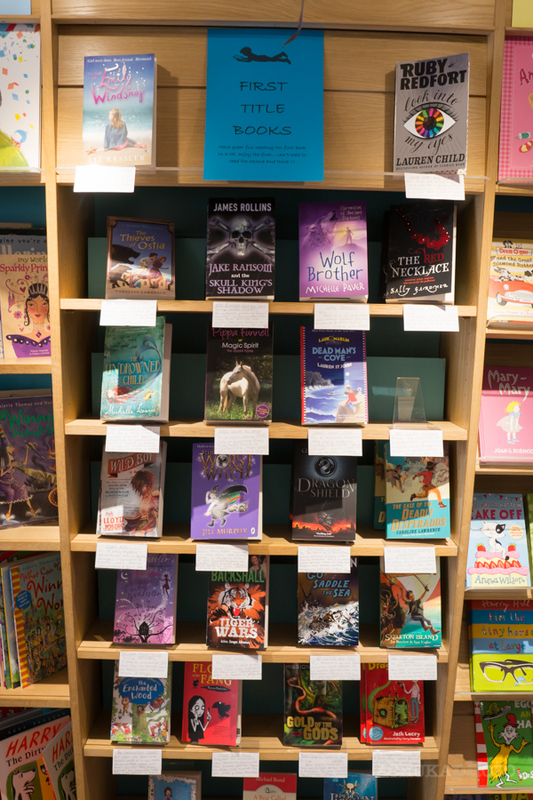 They have a good range of Young Adult books, and parents purchase older fiction but “not a lot of teenagers come into the shop”. So who should I find up at the far end of the shop when I come through from the office to start taking photographs? A couple of teenage lads talking — initially to Annette and then later to Claire who, with three teenage children of her own, tends to be the shop’s specialist on older fiction — about the Beyond the Edge Chronicles series, which they had enjoyed but were looking to move on. The shop has a loyalty scheme but has had to discontinue its physical membership cards because people kept losing them. Everything is now tracked on the till, with the calculation based on book numbers rather than the total value of a transaction. 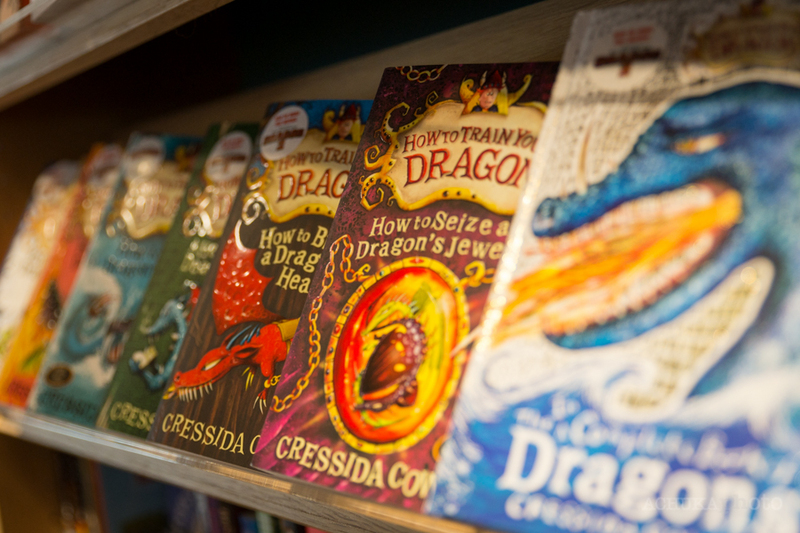 For every 12 books purchased customers receive a £5 voucher. 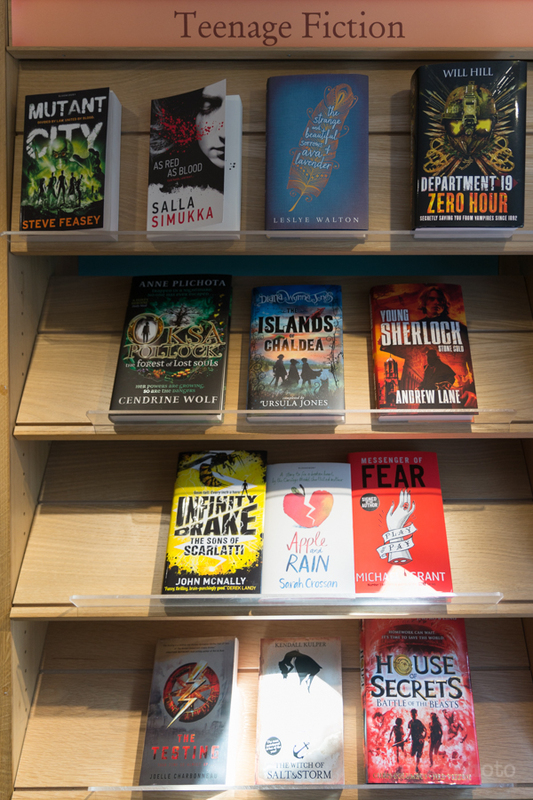 The refit has involved an expansion into what used to be an administrative area of the shop and this has meant more space can be given to non-fiction, which is particularly valued by teachers who come in to browse. Anna acknowledges that this space might have been used for a cafe corner, de rigeur in so many bookshops these days, and is open about the fact that she would rather not have to serve tea and cakes alongside books. She is happy to diversify into child-centred toys and stationery (she particularly likes selling sets of Stabilo crayons) but she doesn’t want to run a cafe. 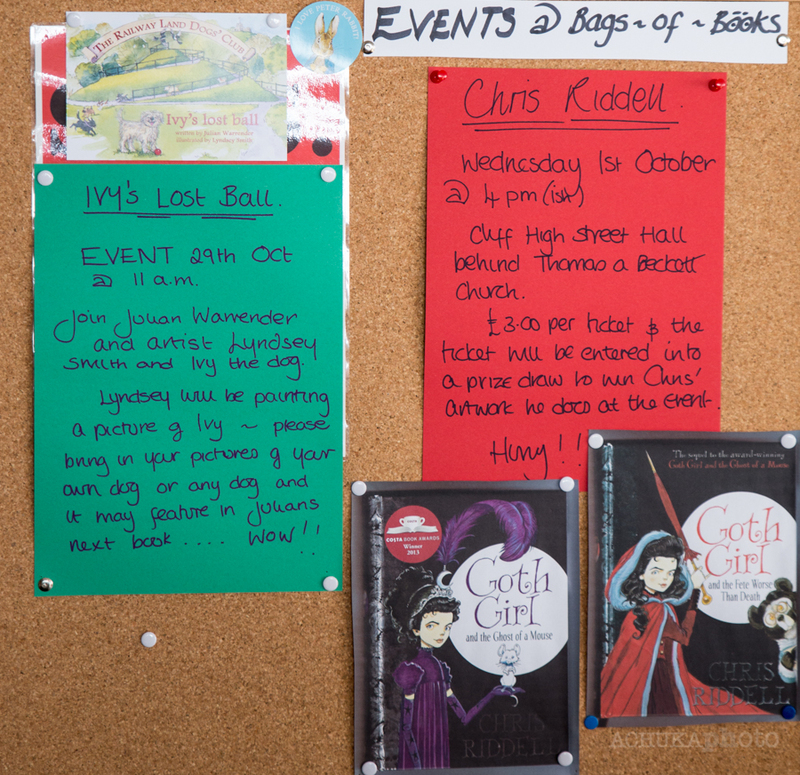 The shop has a healthy programme of events, running them at a rate of roughly two a month (something Waterstones is highly unlikely to compete with). 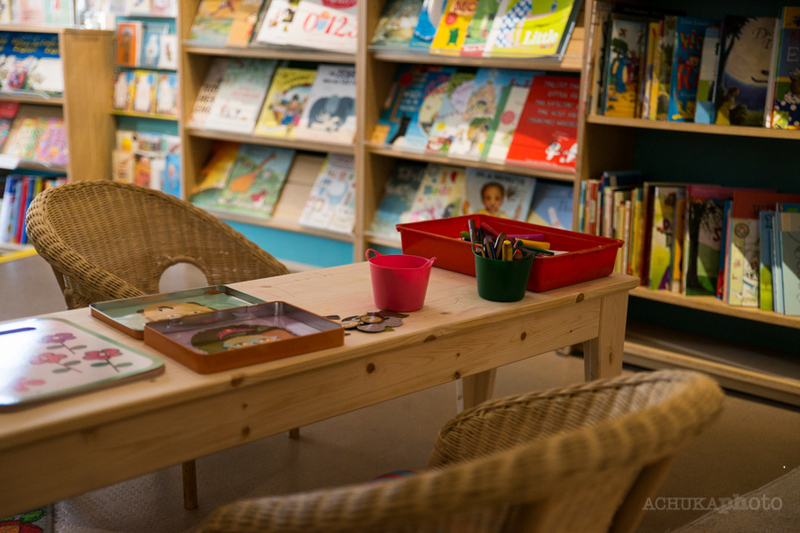 The shop itself can comfortably fit an audience of between 20 and 25 which is sufficient for all but the events featuring the better-known and more popular names of the children’s books world. On those occasions the shop is able to use a space in the church on the opposite side of the street or a cafe & courtyard area round the corner. Chris Riddell is due shortly and the church space will definitely be needed for him. 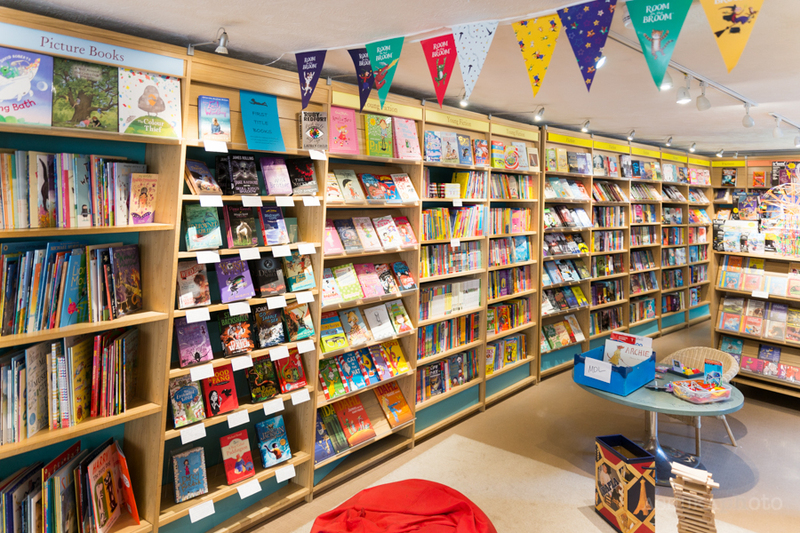 Publisher ‘rep’ visits have continued importance to children’s bookshops and the reps visit the shop roughly every other month – with the exception of the Bounce Marketing, which now represents over 30 publishers of children’s books, making more frequent rep visits a necessity. Anna and Gavin would love to get to more of the London events they’re invited to but with the shop to run and young primary aged children to look after it is difficult to get away. At the time of my visit though they were looking forward to their annual trip to the Booksellers Conference with an overnight stay in Warwick and a chance to meet up and share experiences with fellow booksellers and bookshop owners. Annette is a HUGE Herve Tullet fan. A bookshop in Bath has started entertaining customers by getting a band to create songs based on storylines of their books. The Bookshop Band was formed to write songs for special writer events – all based around the story of the book. via BBC News – Bath bookshop band puts novel storylines to music. 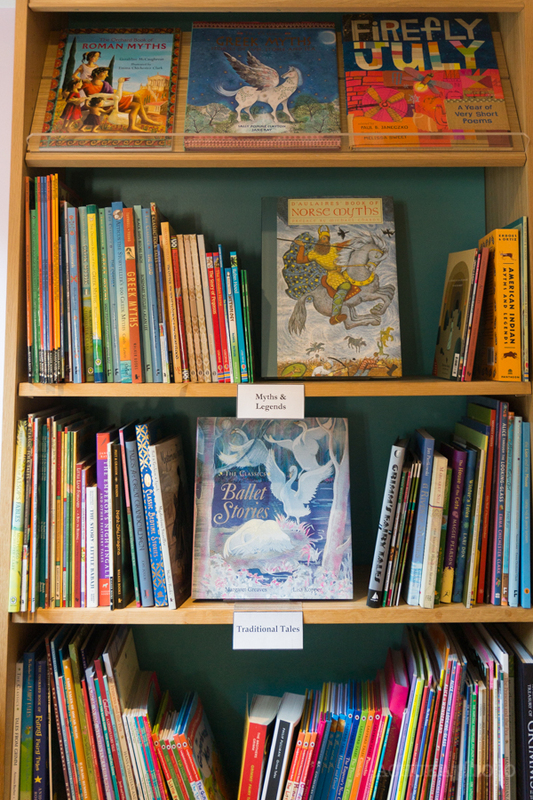 via Independent bookstores rising: They can’t compete with Amazon, and don’t have to..